Stores reference 27C/1890. 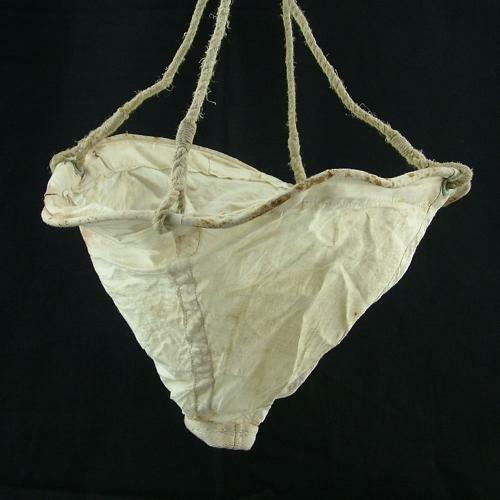 Collapsible white cotton sea drogue used to reduce drifting of the dinghy. It looks a bit like a small windsock with a wire stiffener at the top end, attached to a rope lanyard. Damage free but is soiled/stained and the eyelets have verdigris deposits. One of these was placed in all of the different K-type dinghy pack variants. Stock code S22388.